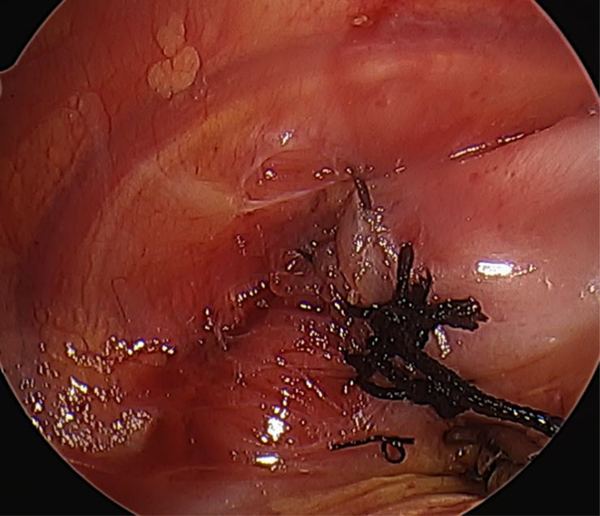 To Cite: Schlager A, Egunsola A, M. Durham M. Synchronous Morgagni and Bochdalek Hernias: A Case Report of a Unique Approach to a Rare Finding, J Minim Invasive Surg Sci. 2016 ; 5(2):e33974. doi: 10.17795/minsurgery-33974. 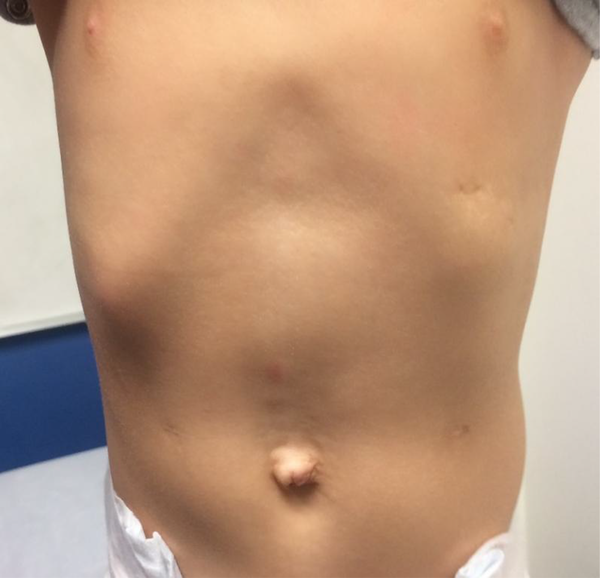 Introduction: Multiple unilateral congenital diaphragmatic hernias (CDH) are extremely rare, described only five times in the medical literature. Concurrent ipsilateral Bochdalek and Morgagni hernias are rarer still with only two cases previously described. In all reported cases of multiple concurrent defects, the hernias were repaired in an open fashion, either via a thoracotomy or laparotomy with both of the two combined Bochdalek and Morgagni hernias repaired via laparotomy. Case Presentation: In this case report we have a 2-day-old who developed respiratory distress and on CT scan was found to have a congenital diaphragmatic hernia (CDH) or eventration. This patient is ideal for this case report because he meets a lot of the previously established criteria for minimally invasive repair of congenital diaphragmatic hernias - minimal respiratory compromise, no congenital heart defects - and he has synchronous defects which have very rarely been seen before. Here we present the first reported case of concurrent ipsilateral Bochdalek and Morgagni hernias repaired in a one-stage minimally invasive fashion, approaching the Bochdalek hernia thoracoscopically and the Morgagni laparoscopically. The patient had a quick recovery post-operatively and he continues to do well. 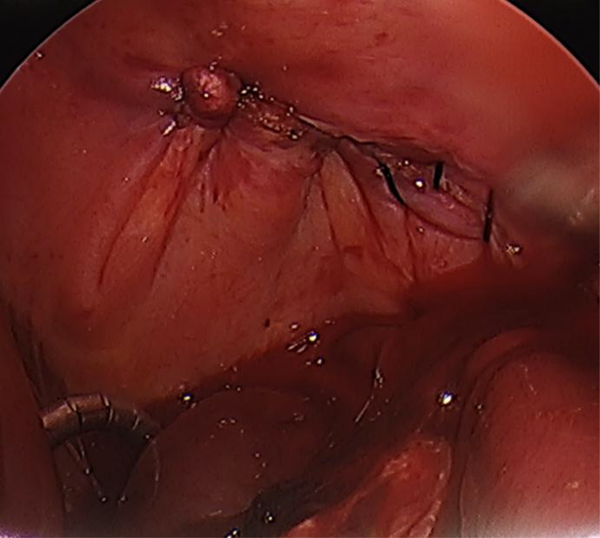 Conclusions: From this experience, we argue that in the right circumstances a completely minimally invasive approach can be taken for synchronous congenital diaphragmatic hernias. Congenital diaphragmatic hernias (CDH) occur in approximately 1 in every 2,000 pregnancies (1, 2). The posterolateral defect or Bochdalek hernia is by far the most common accounting for up to 95% of all cases. The remainder are made up by either Morgagni or anteromedial defects, or cases of complete diaphragmatic agenesis. Multiple diaphragmatic defects are extremely rare and, when present, usually represent bilateral disease. Concurrent unilateral disease is rarer still, with most reported cases including eventrations or multiple central tendon defects as part of the complex of defects (3). There are only two other reported cases of concurrent ipsilateral Bochdalek and Morgagni hernia and both were repaired in an open fashion via a laparotomy (4, 5). We present the first reported cases of concurrent unilateral Bochdalek and Morgagni hernias repaired completely by minimally invasive techniques, employing thoracoscopy to repair the Bochdalek defect and laparoscopy for the Morgagni defect during a single anesthetic event. The patient is an Asian male born at an outside hospital at 39 weeks and two days gestational age weighing 3.92 kg with no congenital anomalies detected on prenatal screening. Tachypnea necessitating administration of supplemental oxygen prompted further work up. 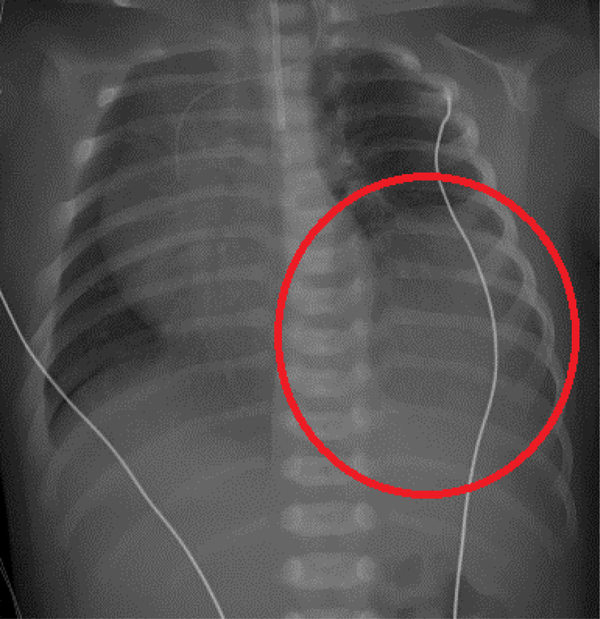 A chest radiograph demonstrated a left lower thoracic density with a poorly visualized diaphragm as well as a rightward mediastinal shift (Figure 1). 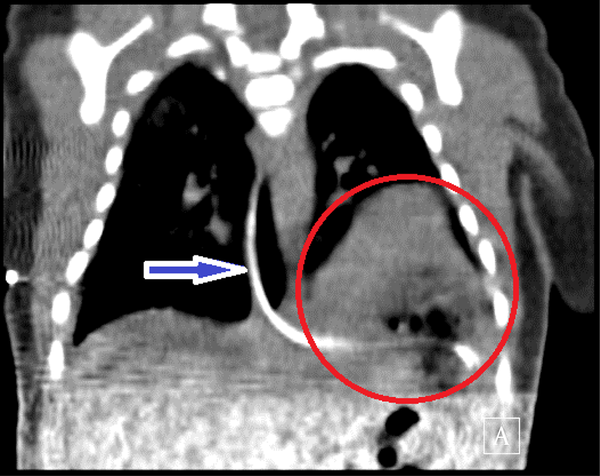 Computerized tomography (CT) scan of the chest was performed which confirmed a soft tissue density at the left base of the lung with an intrathoracic stomach consistent with a CDH or eventration (Figure 2). The patient was transferred to our medical center for surgical evaluation. On arrival, the patient remained tachypneic requiring four liters (L) of oxygen via nasal cannula. An echocardiogram demonstrated a flattened ventricular septum with right heart pressures roughly equivalent to left heart pressures. The patient was observed until day of life number four when a repeat echocardiogram demonstrated decreased right heart pressures below systemic pressures. He was taken to the operating room on day of life number five. Key things about this patient that make him an ideal candidate for our surgical approach are that he had limited respiratory compromise and did not have concurrent congenital heart defects. Literature out of numerus pediatric surgery centers over the years have demonstrated minimally invasive techniques, either laparoscopically or thoracoscopically, for the management of congenital diaphragmatic hernias as a safe and acceptable alternative to open repair in patients with minimal respiratory compromise, no other congenital anomalies and amenable anatomy (6, 7). The surgery was begun via left thoracoscopy with the patient in the right lateral decubitus position. 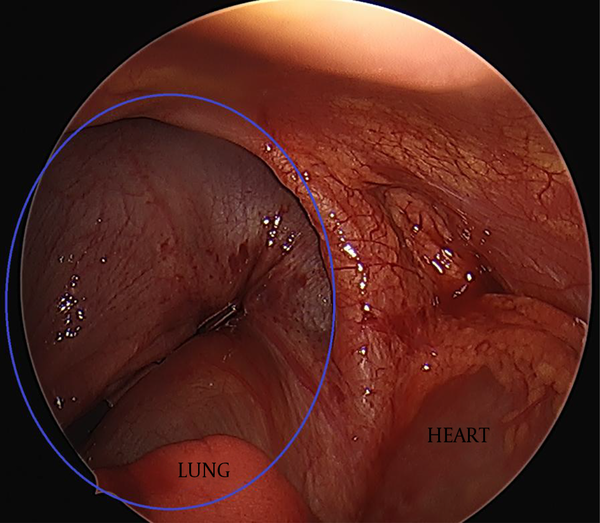 Thoracoscopic inspection revealed two defects, both with hernia sacs; one small defect was positioned in the posterolateral left hemithorax and the other was a large anteromedial defect. The posterolateral hernia was repaired thoracoscopically in a primary fashion with interrupted 2 - 0 silks after sac removal. At this point, the thoracic ports were closed, the patient was repositioned in the supine position, re-prepped and re-draped to approach the large anteromedial defect laparoscopically. The spleen was retracted from the defect site and the left lobe of the liver which had been situated in the hernia sac was retracted using a liver retractor. The Morgagni hernia sac was excised at which time ample diaphragm muscle was demonstrated allowing for a primary repair. Although there was only minimal anterior diaphragm, there was ample posterior diaphragm which was lifted anteriorly and sutured around the anterior ribs using a series of interrupted 2 - 0 silk stitches to close the defect primarily. An additional SIS mesh was tacked to the undersurface of the entire diaphragm to buttress the repair. The total operative time including the repositioning was 4 hours and 25 minutes. The patient tolerated the procedure well and was extubated on post-operative day number four. Post-operative course was complicated by a persistent direct hyperbilirubinemia attributed to the likely repositioning of the liver in the peritoneal cavity which resolved by the time of discharge on post-op day number 53 (Figures 3-10). 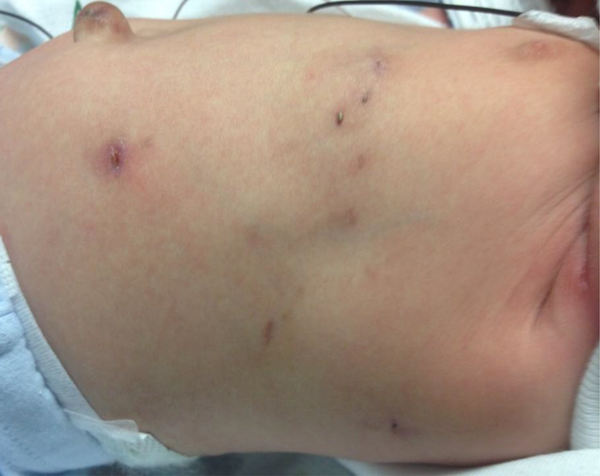 Our patient represents the eighth reported case in the literature of multiple ipsilateral congenital diaphragmatic hernias. Nevertheless, even within this small subgroup, there is significant variation in the location nature and presentation of these hernias raising the question as to whether they are more different from each other than they are similar. In three of the seven patients, the second “defect” was actually an eventration that accompanied a sac-less Bochdalek or Morgagni hernia which may stem from a different etiology than an actual muscular defect. Two of the remaining five cases were actually adult patients found to have multiple right sided central tendon defects which likely represent acquired defects and both in the same general location. The remaining three cases represent combined ipsilateral posterolateral and anteromedial defects. Though the previous two cases both occurred on the right side, supporting the theory proposed by the previous author (Jelin et al.) 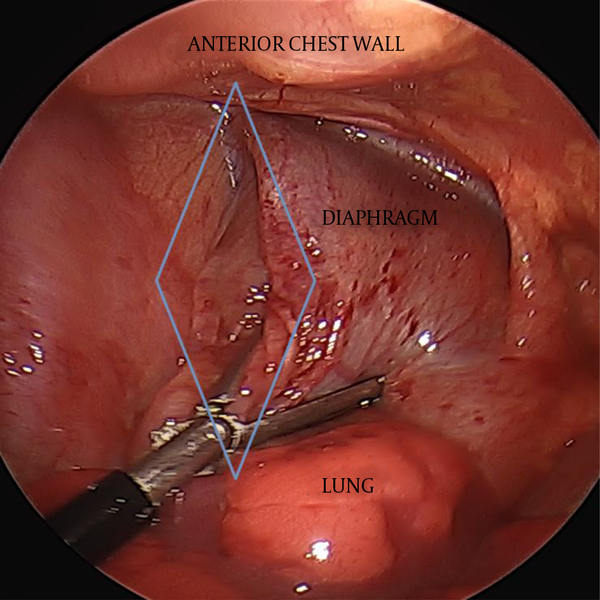 that the right diaphragm may be more prone to multiple defects, our patient had concurrent Bochdalek and Morgagni hernias on the left side making it the first reported case of its kind. 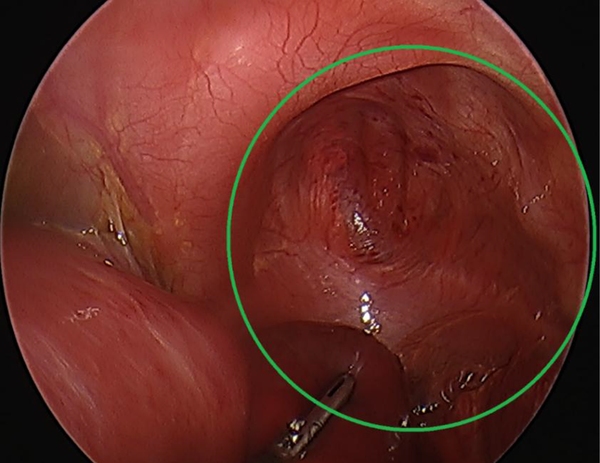 Similar to the case described by Jelin et al., both defects in our patient had hernia sacs which differs from the case described by Urushihara et al. (8) where only the Morgagni hernia had a sac. It is difficult to propose any pattern or common etiology from this select group of patients. 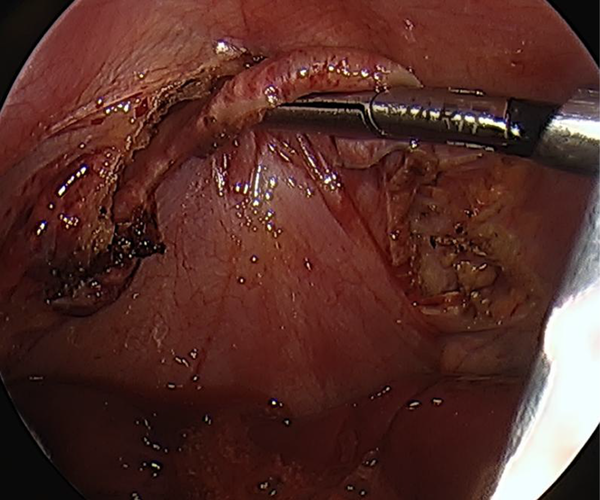 Our case also represents the first completely minimally invasive repair of multiple diaphragmatic hernias for concurrent ipsilateral Bochdalek and Morgagni hernias specifically where their repairs require two different endoscopic approaches. Though these two defects could surely have been repaired via a laparotomy as described in the other two cases, thoracoscopy provided excellent visualization and identification of both the large Morgagni and also the smaller, more subtle, Bochdalek hernia which may have been overlooked with an open repair. As stated previously, the Bochdalek hernia is by far the more common CDH and when other pediatric surgeons have repaired it in a minimally invasive approach it is thoracoscopically thus it is reasonable that we started our case thoracoscopically rather than laparoscopically (9). Though the Morgagni hernia was clearly identified thoracoscopically, the position of the heart impeded repair from the chest necessitating repositioning the patient into supine position for a laparoscopic repair of the Morgagni hernia. Although this combined approach surely contributed to a prolonged operating room, we believe that the benefit of relatively early extubation and decreased potential long term intraabdominal adhesive complications mitigates this concern making minimally invasive techniques both viable and potentially beneficial in cases of multiple concurrent diaphragmatic hernias. Authors’ Contribution: The authors of this paper either performed the operation and managed the patient post-operatively or helped in the research and writing of this case report.